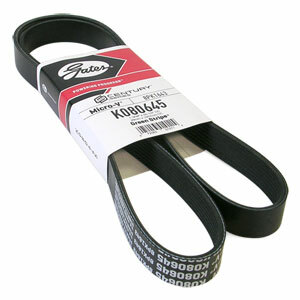 The Gates Century Series Micro-V K080645 serpentine belt for your '89-'91 Dodge Cummins Turbo Diesel truck is designed using advanced manufacturing technology and provides superior performance. For non-intercooled trucks with no air-conditioning. A belt that lasts 50%-60% longer than retail belts. Precision dimension control of rib profile transmits load efficiently throughout the ABDS (Accessory Belt Drive Systems) allowing components to operate at optimum levels. Able to operate and accept misalignment in the ABDS system better than other serpentine belts. 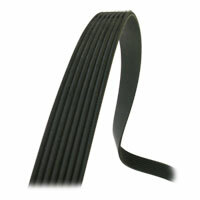 Flexible construction allows the belt to withstand billions of topside and backside bends resulting in long belt life. Meets or exceeds SAE J1459.